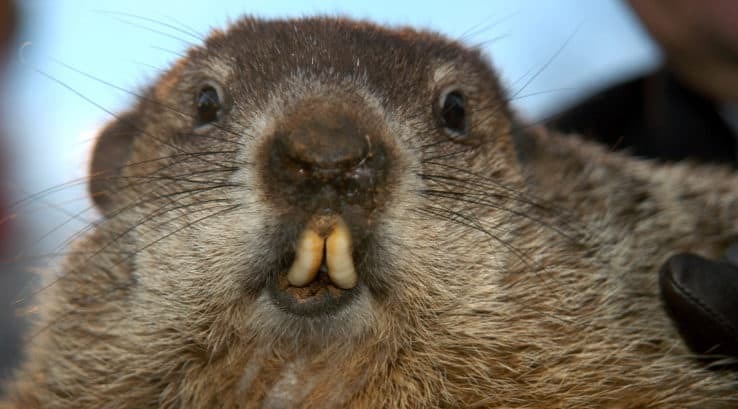 High on a hilltop at Gobbler’s Knob in Pennsylvania the world will watch as a small groundhog will make his 133rd prediction of our meteorological fate for the next six weeks. But you don’t need a Punxsutawney Phil to predict you will have high energy bills if you don’t make sure your home is energy efficient. Here are six tips that are beyond a shadow of a doubt, the best ways to keep your home warm this winter. Improve your insulation. In winter heat flows from heated living areas to adjacent unheated attics, garages and basements through interior ceilings, walls and floors. The proper amount of insulation or thermal resistance (R-value) will decrease this heat flow by providing an effective resistance to the flow of heat. Take a look at this map to find out what R-value is right for your Mid-Atlantic home. Caulk and weatherstrip areas where plumbing, ductwork or electrical wiring comes through walls, floors, ceiling and soffits over cabinets. Click here for a step-by-step instruction on how to caulk these leaky trouble spots. Swap out old single-pane drafty windows with energy-efficient, double pane low-emissivity windows. That alone can save you 10-25 percent on your heating bill. Check out these signs it may be time for a window replacement project. Examine your exterior doors for a tight-fit. Worn, ill-fitting or damaged doors prevent an airtight seal. Here are some things you can try to fix your exterior door. If the door’s integrity is compromised it may be time to replace your old exterior door with a new energy-efficient one. Check your roof for signs it’s at the end of its lifecycle. Roofs with worn-out underlayment, poor ventilation or missing shingles aren’t doing the job when it comes to energy efficiency. Read on to find out whether your roof is a young, middle aged or late stage roof. A roofing expert can provide you with a total roof inspection and make a recommendation to repair or replace. Don’t let your heat go up in smoke. If you use your home’s fireplace make sure your chimney is inspected each year and is properly insulated. If your fireplace is just for show, consider having the chimney flue plugged and sealed. That cozy fire may be burning your hard-earned dollars along with the firewood. So… you may not have special groundhog fortune-telling abilities, but you do have the ability to help protect your home from heat loss. At its core is reducing the amount of air that leaks out and sneaks into your home. Finding those air leaks will help prevent those areas of the home that feel colder than others, improve your home’s heating system durability and create a healthier indoor environment. At Thompson Creek we can help keep your home warm and comfortable this winter even if on February 2 a famous rodent suggests winter weather for another six weeks.